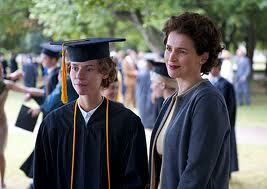 When Temple Grandin’s life story was featured in a fantastic, academy award winning HBO movie the scene between the psychologist and Temple’s mom Eustacia made me cry for two reasons (1.) For one, it’s heartbreaking to hear the autism diagnosis followed by no cure, nothing you can do, and to consider institutionalization. The second reason; my family heard almost the identical story and prognosis 50 years later. One would think that maybe after 50 years, progress would have been made in the delivery of a diagnosis. One would hope. Sadly, this same story plays out every week at TACA during support meetings, calls, and emails from hundreds of families each year. While working at TACA for 12 years I’ve met thousands of families. The first time I meet them they are the definition of scared. Most of them have recently had a child diagnosed with autism. They look lost, fearful for their child’s future, and not wanting to accept the dismal prognosis. It doesn’t feel right to give up. After seeing that same once lost family at TACA meetings, their follow up emails and run-ins at conferences and local health food stores, I see things about them change; for the better. They stand taller and feel more engaged. They found a new emotion; hope. Followed by actions they can take to help their kid. That hope fueled them to take positive steps forward. While I agree hope needs to be followed by best practices along with help to get through the journey, not every family experiences the same results with every treatment and therapy. What I do know is that the last five years has generated a tremendous amount of new research and treatment options. Much has improved. Again, some more hope! This leads me back to the tile of this blog. 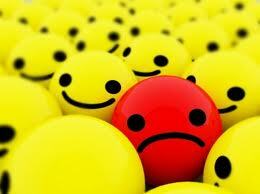 What’s with all the false pessimism at diagnosis? One TACA mom said it best to me “Hope gets me out of bed in the morning!” I’d prefer this TACA mom’s view versus some specialists view about no hope without a working crystal ball. I rather live a life filled with hope even if it’s a small amount, even though my son takes back steps occasionally, and he still has delays between those of his typical peers and current skills. I choose hope. I celebrate his victories and help find answers for the rest. I accept and love him, working towards the goal of recovery and back pocket the goal of independence for my son. The false pessimism theory is a different story. What purpose does it serve? How do we know what is in store for a very young child at the time of an autism diagnosis? How do we know what a child can be if we don’t try? What if there are some families that don’t wish to give up? What if these experts are wrong about no hope and no cure for many kids with an autism diagnosis? All these resources are free for families. TACA is building more tools based on the generosity of donors. Another mom said something very inspirational to me “TACA makes hope a verb. Thanks!” I agree. 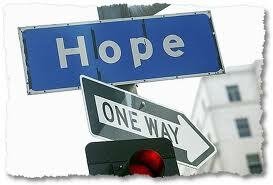 Hope with help can be powerful, and can also lead to positive action. 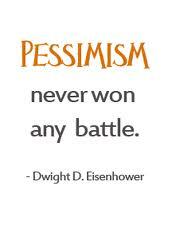 I am not sure what false pessimism leads to. 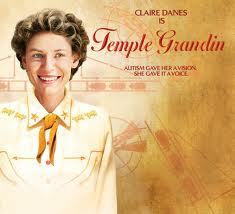 For autism awareness action month, watch the Temple Grandin HBO movie. It is a wonderful depiction of all facets of autism and she is a hero to many families. Then, for families living with autism, serve up a heaping portion of hope. There is work to do. TACA is here to help! I agree, Lisa. We were hit with a great deal of negativity as well. And our daughter is 2 years old (almost 3). While we were told about all the therapies and different things we needed to start signing her up for, none of it was told to us with an attitude of hope. Not remotely. If anything it was marching orders, with an attitude of “this is what you need to accept as your child’s future”. Don’t expect her to ever potty train. Expect her to qualify to be institutionalized, blah blah blah. I never accepted any of that negativity, and I still don’t. I stay hopeful. I shudder to think where our daughter would still be right now, if we had just taken that advice and *only* that advice. So many of the achievements she’s had in the past year (if not all of them) would be non-existent, if we had shared their apparent lack of hope. I am the mother of 4 children ages 6 (identical twins), 7 1/2 and 9. Our family has been through a roller coaster of doctor’s offices beginning with the twins birth as 26 week preemies. When they were diagnosed with autism at 25 months, our family had already been dealing with over 2 years of serious medical issues and this was the icing on the cake. It just was too much to bear with many different professionals telling us “autism”, then shoving us out the door. Our pediatrician would prescribe therapy, then increase it at our check ups and had nothing else to offer. After a year of being horribly depressed, I had an opportunity to attend my first ARI conference. We are perpetually broke so I went to the free workshop that TACA sponsored. When the Q&A time came, I burst in to tears in front of a room full of strangers asking how I could apply for a scholarship since I had no idea how I was going to find a way to start biomed with no money or resources. Turned out the mom next to me also had affected twins, and got me in to the conference the next day. And I was introduced to Jackie Moore, our chapter coordinator. No one in the medical community had ever reached out to us in that way, and they are supposed to be autism professionals. TACA s message of hope and action resonated with me deeply. I was afraid to hope and not be able do anything. The fact that there were other parents there, getting the info out, helping each other when they had their own issues meant something. This Hope carried me through my 9 year olds Tourette Syndrome diagnosis a few months later. Then my middle daughter’s Asperger Syndrome diagnosis a year after that. It just never let up. Lately I have been surprised about how well I have been handling the overwhelming feelings I have when I think of all that I need to do. For the first time in 6 years, I actually have had some peace and a little happiness. This is thanks to the support of other families with autism who make me feel less alone and more like I can do something. It sure beats receiving brochures about group homes from well meaning friends when my boys were barely 3. Although I don’t know what the future holds, the message of hope and information that TACA instilled is what has pulled me through. This is a great story, hope is so important to all the families going thru this journey. For our family is essential to have hope and dreams for our son. It has help us to be proactive and is what glues together. To know that our son can be what he wants to be and we can help him get there and take action. Hope brings smile to my face and cheers up my heart. Hope remains and is heightened for this mom who started the path before and alone thirty years ago. It just never felt right to give up and I can keep going because of people like you. So, not only are you “paying it forward,” you are “paying it back” as well. Thank you!